That means while your words are important, people’s eyes will be bouncing around to other parts of your website. People are visual creatures, so they’ll notice the design and the photos you’re using. They’ll associate that with how much they can trust your business. Low-quality, amateur, or poorly composed photos can ruin anyone’s first impression, whether they are showing off a product or intended just to accent your website. You may not think you have the skills or the tools for high-quality photography. However, if you have a phone with a good camera lens, you can use resources available online to help you snap great pics. You can start with the numerous photography guides available (or iPhonography, if you’re an Apple iPhone user). Right off the bat, you’ll learn about keeping your phone steady, focusing, using the physical shutter button, taking photo bursts and defaulting to HDR mode. If your phone isn’t capable of managing high-quality photos, you can spring for an actual camera (but only if you’re actually going to use it) or pay a professional photographer or photography student to take pictures for you. In this piece, we’ll skip the common advice (“Clean your lens! Use a support!”) and look at the fundamentals that the pro’s focus on. These principles and skills allow for greater customization and control, both on phone cameras and on actual cameras. A photo can lose its impact if it’s not well lit, but you don’t need professional lighting kits to get it right. Start by making the most of available light sources, like natural light or strong artificial light. Avoid having too much light behind your subject, which will create a silhouette. Similarly, skip the flash, which tends to blow out the photo. You can also use reflectors to bounce light onto your subject, to soften or diffuse it. Reflectors are a photography tool you can buy, but you can also just make use of any reflective surface nearby, or even a piece of paper. If the camera on your phone doesn’t let you adjust its ISO, controlling its sensitivity to light, you can download apps like Camera+ or ProCamera to create that option. You’re usually going to want to use a low ISO, as it allows for cleaner photography with less noise (which look like grainy pixels). 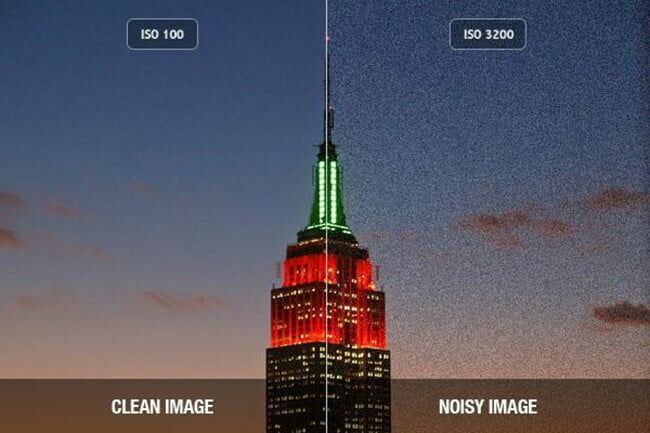 There are some cases in which a higher ISO is necessary, like in low light or with a moving subject. Keep in mind that ISO can affect your aperture and shutter speed, and vice versa, so understanding their relationship and how to adjust them (or keeping them on automatic settings) can be key to a good exposure. How you further adjust your exposure before taking a photo can vary from iPhone to Android (or on an actual camera), but they are all allowing more or less light into the shot. You can adjust this on an iPhone by holding down on a spot and then swiping on the sun icon when the yellow box appears. Then you have a slider you can easily use to change the brightness, making it a quick and easy thing to tweak in between shots. Cameras aren’t too bad at their own white balance, with phones not even needing prompting to balance themselves. They colour balance the light, making sure whites in your pictures look white and other colours appear as they should be. 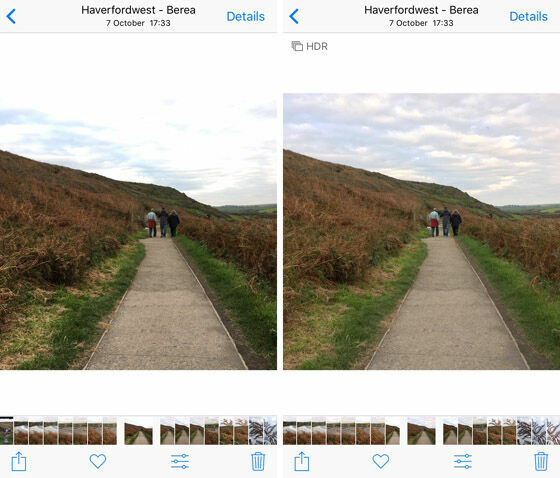 But if the camera software isn’t quite getting it right, which can happen, most of the additional phone apps mentioned earlier will have the option to manually white balance your camera. Having people in your photos makes them more dynamic to look at, as human subjects can provide more action and emotion than inanimate subjects or pretty landscapes. Getting people involved does complicate things, though. Make sure to position them in a way that will look fun and natural — not like a stock photo, where people tend to look posed and awkward. Once you know how you want them to look, communicating that to your subject and having them understand and execute on it can be tricky. You also want them to be comfortable, it keeps them happy and makes the photo look better. Social media sites such as Reddit have great communities to ask for tips, plus there are endless guides on how to take a good portrait. They cover everything from technical setups to interesting poses, or framings that will test the expected bounds of a headshot. You’ve likely already heard about the “Rule of Thirds,” even if you didn’t know the technical name, or that it was a method for framing your shots. Keeping important elements along the grid lines and their intersections can really help, and now phone cameras usually have the option to show you that grid on your screen as you’re setting up your shot. There’s also the “Rule of Odds,” the theory that odd numbers of a subject matter tend to look better. You shouldn’t be afraid to get close to a subject (rather than relying on the camera’s zoom) and fill the frame. In contrast, sometimes it works to leave negative space, which is another way to draw the viewer’s eye to the subject, this time by using the empty space to make it pop. What you’re really learning through composition is how to control the results of your shooting and have an intent behind your snaps. It can be easy to forget about point of view, angles, cropping and framing when we know we have editing apps to fiddle with later on. However, by starting to think about your shot’s potential before you take it, you are giving yourself more to work with later, and may even find that you need less editing because your photos are improving in quality. There are endless resources online when it comes to photography, which will cover everything from cleaning your lens to photo editing (filters and all). Try not to overload yourself with research, instead step away from it when you can and focus on practicing what you learn. You can then post your photos in forums where you can get feedback from more experienced photographers. Take your time, be patient and be ready to keep learning as you go. Not only can you work your way up to taking quality photos for your own website, but you never know where refining your photography skills will come in handy.